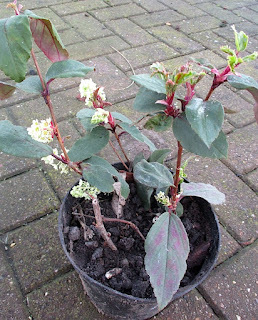 Roger Brook - the no dig gardener: Have you tried Ribes laurifolium? If -15 threatens, I may have to be lifted too. Just looked at your reply again. Of course it makes sense! In fact at minus 15 it is frozen too solid to lift the pot out. My cunning (and stupid?} plan is only to lift it if the forecast is for prolonged and very severe cold. Yep well lifted off the ground and tucked up warmly. I had no idea pittosporum is that hardy. I thought a few degrees of frost would kill it. I wonder if it would survive the winter in my crawl space in the dark. I would have to try but doubt it would work. My minus 15 is a bit of a shot in the dark, tolerance to cold is effected by Winter drainage, exposure to wind and very significantly whether the low temperature lasts several days (bad in this case) or just touches say minus 15 on a frosty night. 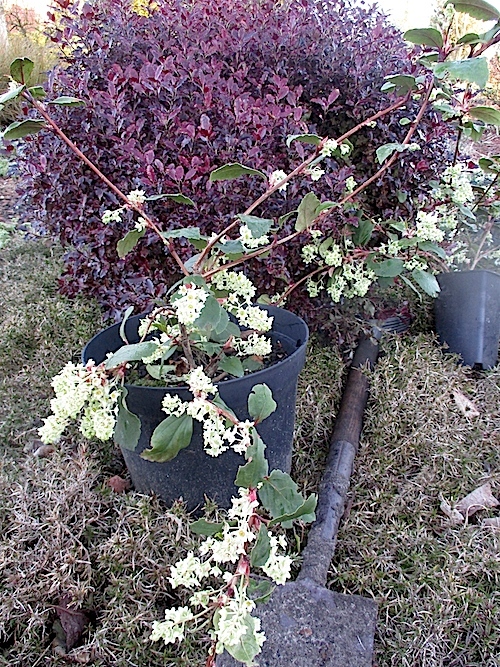 Before the 2010 double Winter my several different pittosporums had reached head height and had not been checked by cold for about seven years. That year I lost most of my hebes and all the pittosporums - it was down to minus 18 centigrade for about three weeks! Love the flowers on that one. I have two currants: Ribes americanum and Ribes odoratum, both grow wild in North America. 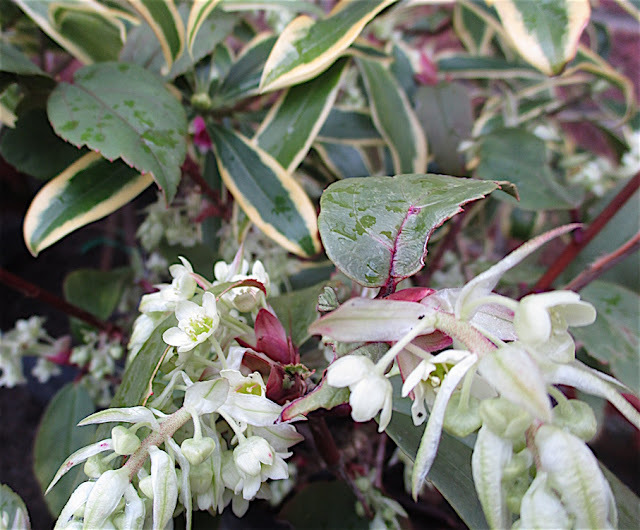 Ribes sanguineum is widely grown over here and is really nice if kept rejuvenated by appropriate pruning every two or three years. My sympathies are with you Rick! It's ironic when some of us are pleased about the mild Winter and yet bemoan excessive wet and humidity.